Educated at the University of Manitoba (BA 1967, BEd 1968, MEd 1985), he was well known for his participation on many committees with the Winnipeg Teachers Association, the Winnipeg School Division and the Manitoba Teacher’s Society. He was active in the Winnipeg Principal’s Association. His special interest was in exceptional or special needs students. He worked at Gladstone School that had the oral deaf program and was instrumental in having Ellen Douglas School for Physically and Multiple-Handicapped Students integrated into Lord Roberts School in 1970. 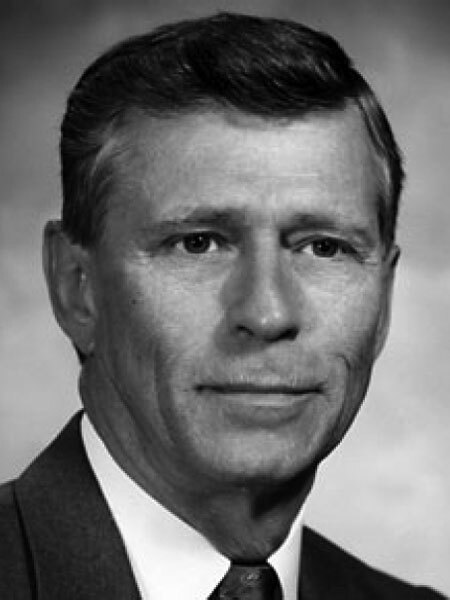 He served as President then Governor of the Council for Exceptional Children and as Chairman of the Board for the Children’s Home of Winnipeg (now New Directions). He served as the Principal of Gladstone School (1970-1973), King Edward School (1973-?) and Stanley Knowles School (1988-1992), retiring in 1992. He was the Recipient of the Merit Award from the Council for Exceptional Children in 1983. He died on 16 June 2008. Obituary, Winnipeg Free Press, 12 June 2008. We thank Bobbi Jo Panciera and Gail Singleton for providing additional information used here.